This book gives an eye-­opening account of the day-­to-­day reality of a fieldworker in the African bush and the trials and triumphs of work with an international aid organization. 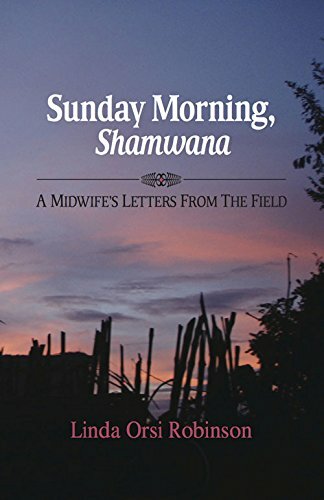 Sent by Doctors Without Borders to Shamwana, a small remote village deep in the Democratic Republic of Congo, an American nurse-­midwife comes to know the extraordinary suffering and equally extraordinary strength of the village's women and their families. Traumatized by a decade of war and famine, the bleak landscape of Shamwana, once teeming with animals and vegetation, had been stripped bare by people desperate to survive. Her letters home each Sunday morning, written to make sense of the overwhelming challenges she was facing, are featured here to provide a loving picture of the people who both inspired and depended on her: Gerardine and Beatrice, the local midwives; Benson, the devoted Congolese physician who worked in conditions unimaginable in other parts of the world; and Mario, the Muslim Unimog driver who accompanied her as she visited villages where children were dying of measles, and invited her into his family. At once heart-­wrenching and humorous, joyful and filled with grief, her riveting narratives allow us to encounter the realities of childbirth and survival in a time of war. She expresses her own horror, frustration, and small victories while questioning the limits of human strength, the role of international aid, and the meaning of her place in the world. Linda Orsi Robinson is a nurse-midwife whose international work has taken her to Malawi Africa as a Peace Corps volunteer, to American Samoa where she started the first midwifery practice, and to the Democratic Republic of Congo with Doctors Without Borders. She is the coauthor of Being Pregnant: A Woman’s Answer Book and Women's Sexual Health. She lives in Bar Harbor, Maine.